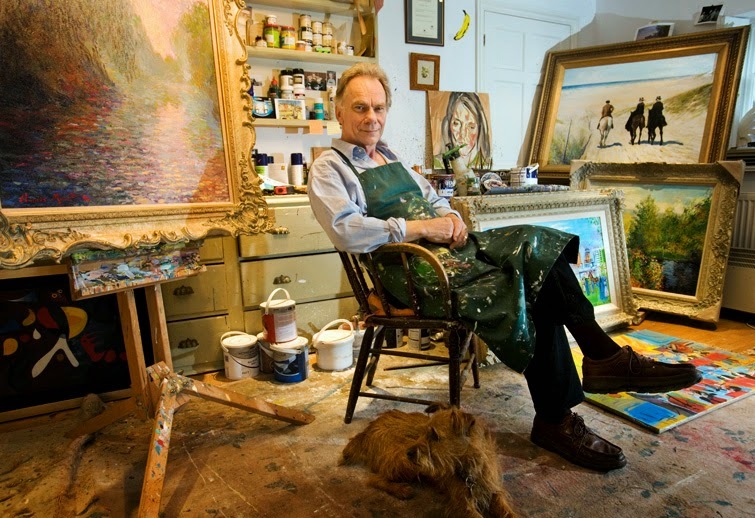 In 1986 John Myatt was a struggling artist and single dad of two young children, trying to make ends meet. In an effort to generate income he placed an advertisement in a London magazine offering “genuine fakes” for 150 pounds. 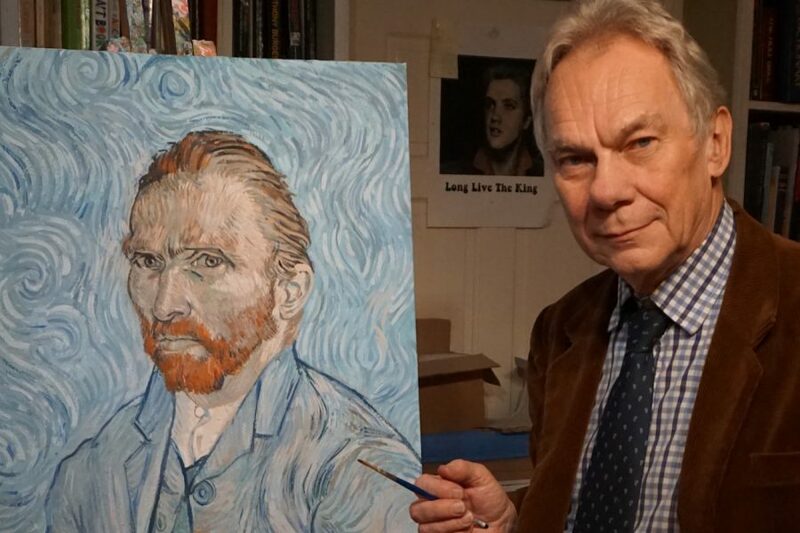 With this simple ad, John Myatt was drawn into one of the most sweeping and elaborate cons in the history of art forgery, which has subsequently been described as the biggest art fraud of the 20th century. 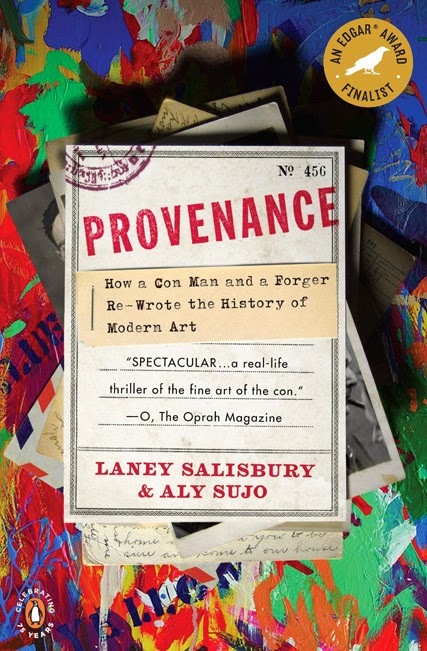 “Provenance” by Laney Salisbury and Aly Sujo recounts this incredibly true story of a skillful artist, his con man benefactor, and the scores of people who were impacted by the scheme, which took place over a nine year period. This tale is hard to stop reading once you begin! 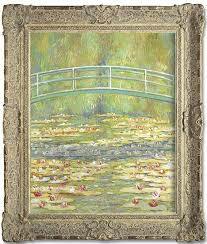 It is estimated that fifty percent of art works in the market place are forgeries. One of the methods used to verify a paintings’ authenticity is through the paper trail, or provenance. This provenance contains receipts of sales and purchases from prior owners, catalogues of past exhibitions, sometimes certificates of authenticity from an artist’s estate, and any other documented information that can add to the painting’s history. The paper work is kept with the owner of the painting and passes from hand to hand. Museums have entire departments dedicated to the storing of these provenances of all the artwork in their possession. By gaining access, and tampering with the archives which held original provenances, con artist John Drewe created counterfeit documents to endorse hundreds of forged paintings. This has impacted the validity of a multitude of art works to this day. When John Myatt first began creating “fakes” for Drewe, he had no idea of the kind of man he was dealing with, nor what Drewe’s ultimate goal for the paintings were. 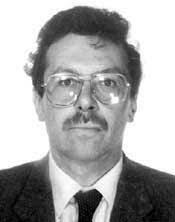 Drewe was adept at manipulating renowned art historians, dealers, auctioneers, collectors, museum staff, and almost anyone else he came into contact with. In the past, if done well enough, forgeries would pass muster without any provenance. This would occur when an expert, or experts, verified the artwork as an authentic, previously “unknown” work, from a deceased artist. It is much easier to pass a forgery as genuine when it has an impeccable provenance to accompany it. Through sheer audacity, cleverness and the ability to convincingly deceive, the story of how Drewe compromised the art world in London, Paris and New York, is told in an absorbing fashion. Along with an inside look into the high brow world of art, Salisbury and Sujo relay a suspenseful tale of Scotland Yard detectives steadily piecing together the elements of the conspiracy and tracking down Myatt and Drewe. 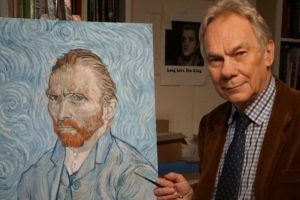 It is estimated that more than 200 forgeries were created by Myatt, many of which are still out there with counterfeit provenances that may never be rectified. It gives one pause when visiting museums. Are we really seeing genuine paintings at the hand of a master, or genuine fakes that even the experts couldn’t discern? Having read this book twice I can highly recommend it for anyone interested in the art world, along with those who enjoy a good detective story. Sounds like an interesting read, and all the more reason for collectors to buy from live artists! Sounds interesting Heather! Thanks for bringing it to our attention! Thanks for bringing it to our attention! 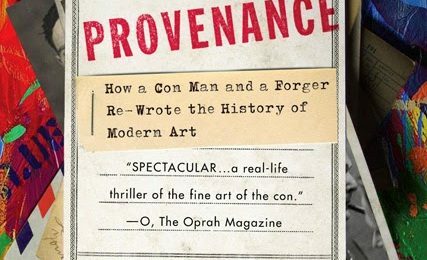 Sounds like an interesting read, and all the more reason for collectors to buy from live artists!